First Stop Portland Director Nancy Hales is in Rome for a two-day summit on cities and climate change hosted at the Vatican by Pope Francis and the Pontifical Academy of Sciences. She'll be updating us on her experiences and observations as she meets with leaders from around the globe throughout the week. You can follow her updates in real-time on Facebook, Twitter, and Instagram. How do you prepare for a meeting with the Pope? What to take, wear, say, and ponder before arriving at the Vatican? Charlie and I spent the last few weeks in a crash course on these and other questions, with the welcome help of many knowledgeable Portlanders. 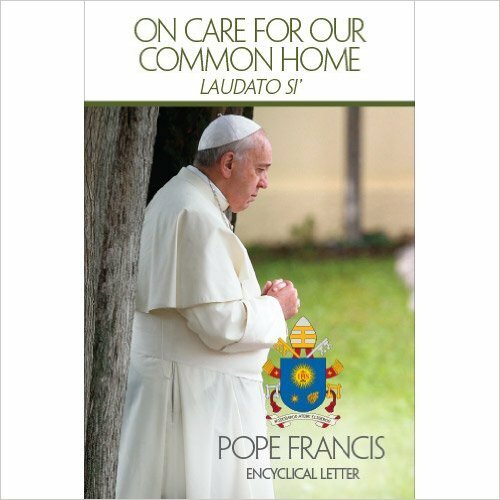 We’re now on our way, our luggage packed full with briefing materials and extra copies of Pope Francis’ #Encyclical Laudato Si. Also included is a small gift from Portland for the Pope. I’ve learned a lot about our city in this whirlwind of preparation. This Pope, a Jesuit who took the name Francis is beloved by many, many Portlanders. Our students at PSU all call him “the cool Pope.” More than once I’ve heard him referred to as “the Portland Pope.” And it comes as no surprise that the Encyclical reads in many places like our own Climate Action Plan and other earnest efforts by our progressive city to be a good steward of the environment, and of people. 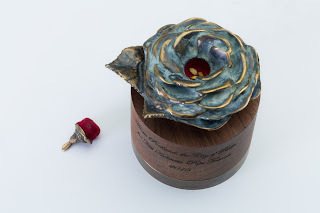 Choosing the right gift to commemorate Portland’s place among the world’s cities invited to the Vatican, weighed on me. It should be simple; it should represent our city; it should be made here; most importantly it should carry the sentiment of humility and love. 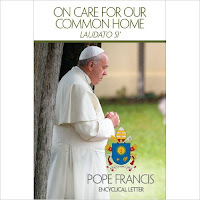 The Rosarians always say “for you, a rose in Portland blooms.” Now this will be true for a man who has thought deeply and written passionately on the twin subjects of care for the planet and for its people, especially the vulnerable ones. The Mayor and I go to this historic meeting prepared, with love, humility, and a Portland rose.